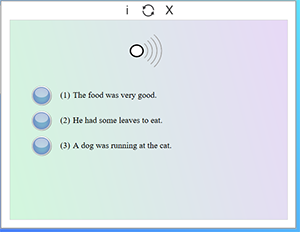 Sound Reading software uses over 30 activity types to strengthen and enhance a students’ fundamental reading skills. All our programs are designed to develop strong auditory processing, fluency and reading comprehension. Accuracy Areas – Struggling readers often mispronounce words. This is because accuracy depends on a very well-honed sense of speech and the ability to interpret written words as spoken words. By focusing on developing auditory skills, phonemic awareness, and fluency, Sound Reading Programs will quickly have your child reading with astounding degrees of accuracy. Due to the unique design of our software even students that have struggled with the whole-word, phonics or balanced approach in the past have shown great success when using our program. Automaticity Areas – Accurate reading that is strenuous rarely results in motivated and meaningful reading. Natural readers have the ability to hear and process the sounds of words in their head automatically whereas struggling readers often are not able to hear the needed sounds to decode unfamiliar words. This is where Sound Reading helps struggling readers develop their automaticity by helping individuals first develop their ability to hear and process sounds, then properly match the sounds to letters and words. Sound Reading’s Flash Fluency practice is to effectively teach reading fluency using activities such as: automatic naming and oral recall. Comprehension Areas – Comprehension reading is reading with complete understanding of text. It involves knowledge of vocabulary, understanding of sentence structure and the ability to interpret the intentions of the author. When the brain lacks “reading comprehension skills” it relies on the half of the brain devoted to listening comprehension. Knowing the science behind reading, Sound Reading uses activities that tightly link reading and listening comprehension, resulting in significant gains in both understanding and meaning. Students change blocks to represent sound changes in words. 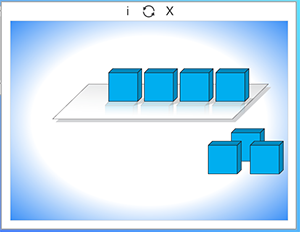 This activity develops auditory processing skills by training the brain to hear, process and manipulate sounds without attaching the sound to a letter. By doing this learners are developing their memory skills and their ability to distinguish sounds and word patterns, which leads to improved word recognition and fluency. Word Recognition and Automaticity (fluency) refers to an individual’s ability to see a word and associate it with a meaning. Often individuals learning a new language are most likely novices in word recognition and can only recognize a select number of words. Adults and native speakers most likely have a highly developed capacity for word recognition. In order to automatically recognize words fluently learners must become familiar with the word so that it becomes stored in the brain and upon site the meaning becomes automatic. 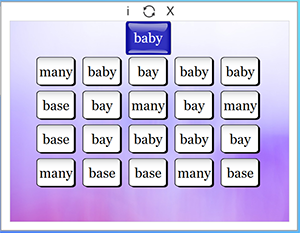 Sound Reading’s Word Recognition/Automaticity activities help individuals become familiar with new words eventually making them automatically recognizable. Listening Comprehension is best described as a person’s ability to listen and understand what they hear. Developing listening comprehension is an essential reading skill that also helps develop auditory discrimination. Sound Reading’s activities help learners improve their listening comprehension which leads to better understanding and overall improved reading skills. As a student progresses through each level, a picture is uncovered that helps to answer a question. shown on the bottom of the screen. The student can hover over the question to hear it. Motivational badges from each level are displayed, and the student can click on them to see and hear the questions and answers from their completed levels.